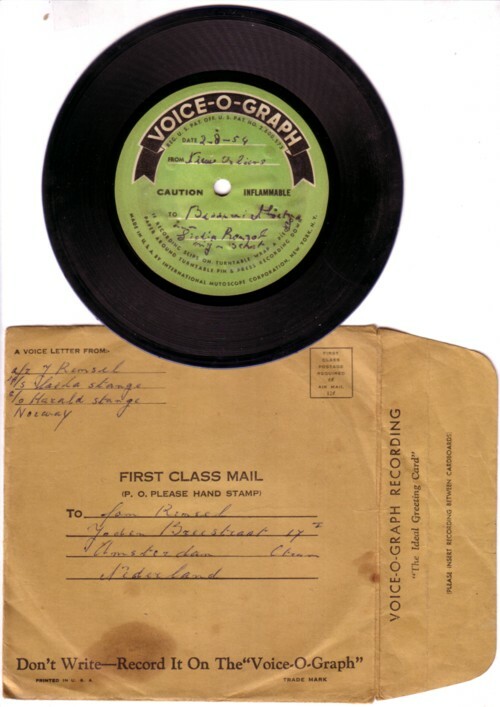 Usually there are only spoken messages on these records, but on this Voice-O-Graph we hear a man singing ”Besame mucho” . I know that not everybody shares my enthusiasm for these one-of-one records, but I think one or two of such postings per month are within the limits of reason. As far as the word “reason” has any meaning on this planet. But that is a whole other story.